I don't know whether you can see clearly enough behind me in this photo this evening, but the rainy season may have arrived. It is pouring out there on the pool. I see the rain. Great reading weather! I was wondering about that rainy season, Steve. 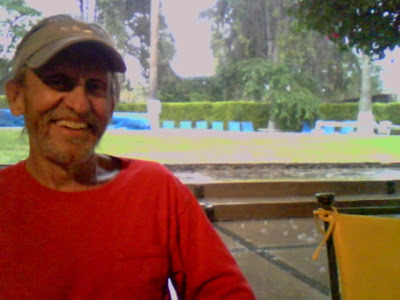 You've never smelled anything until you've smelled Xochimilco in the rain. I believe the rainy season has arrived, Ruthie. See today's post.